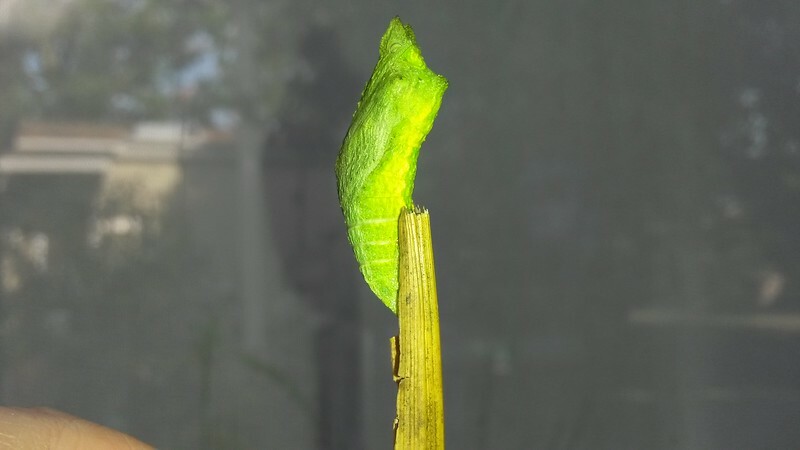 This is a chrysalis of an Anise Swallowtail Butterfly. On October 21, 2015, I was given this chrysalis by an employee of Armstrong Nursery after a customer pulled it off a dill plant they were purchasing. The employee glued the chrysalis onto a stick and asked me to take it home for safe keeping.